The new face gave the Brio a more mature look. While it may not have suited everyone’s taste, the Brio did stand out from the crowd. The compact dimensions of the Brio came in handy while driving within city limits. The glass hatch at the rear continued to be a standout feature. The drab-looking dashboard of the older version had been sw apped for a much better-looking setup that is in line with the Amaze’s cabin. 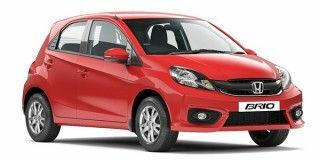 The quality and fit-finish, however, were a notch below the 2018 Maruti Suzuki Swift and the Hyundai Grand i10. The all-black theme with dull silver and carbon-fibre textured accents added a hint of sportiness to the overall package. The ergonomics were spot on and everything from the new digital air-conditioning controls to the knobs and switches for the audio system was well within reach. Other features included a new instrument cluster, power windows all around, seat-height adjust and tilt-steering.